It's time to get ready for raccoons and squirrels now! Even though we are still in the summer months, raccoons and squirrels are already starting to look for winter nesting spots. One of their favorite places are attics, specifically your attic! 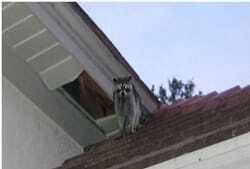 Both raccoons and squirrels are attracted to the warmth than attic can provide. 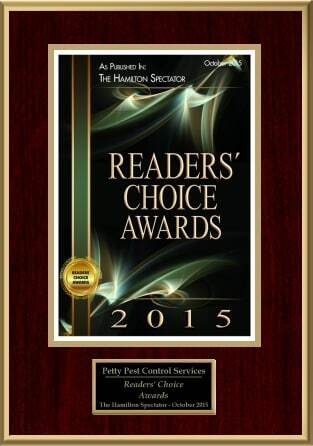 They can feel the warmth coming off the vents, as well as taking advantage of any damaged soffits or shingles. 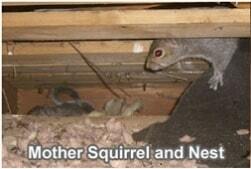 Either of these pests can chew a hole into your roof. They will particularly target damp wood that they can pull back and gain access to your home. 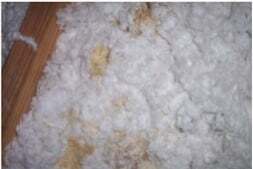 Once inside, both raccoons and squirrels will set up nests in the insulation. 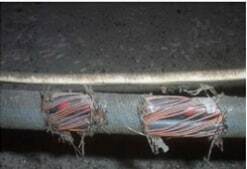 They can chew on power lines, causing potential fire hazards. 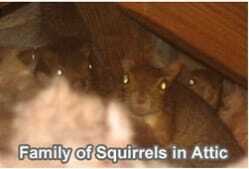 They will also use your attic not just as their home, they also use it as a toilet! 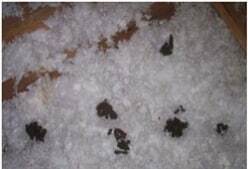 Raccoon feces carry numerous diseases, and both raccoon and squirrel urine and feces will of course start create horrific odors in your attic. The best way to prevent this is to inspect the outside of your house and look for holes in the soffit, the roof, any trees that are close by that would allow these animals to get your roof. Ensure any vents are meshed off to prevent entry. The best way to keep problems from happening is to keep these pests from getting into your house. If you have discovered that raccoons and squirrels are in your attic, removal is imperative to ensure both the safety of your home and the health of your family. The best method is to trap these animals and remove them to a distance that they will not return to your home. Once this is accomplished, PPC services can safely remove the feces and exclude your home from these pests once and for all!